Home / What Data Center Management Lessons Can We Learn from Football? 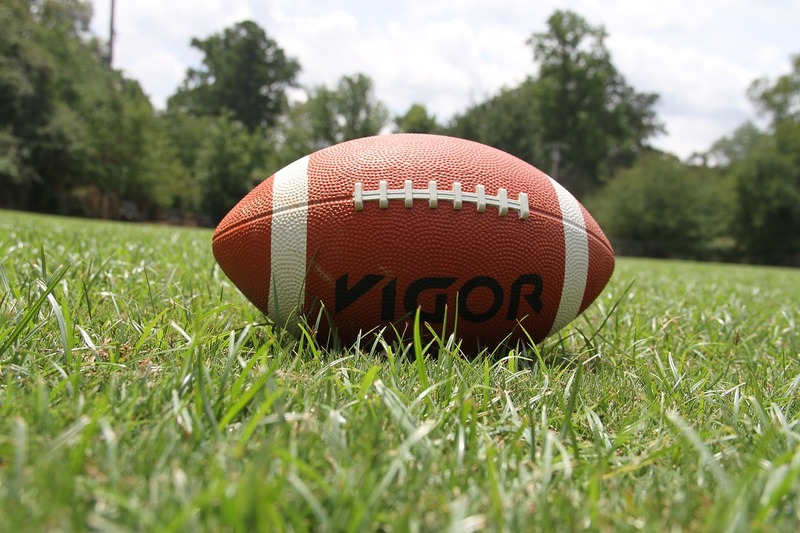 What Data Center Management Lessons Can We Learn from Football? If you’re looking for ways to optimize your data center management around this time of year, you might go to events like the BICSI Winter Conference & Exhibition, where you can learn from data center experts and network with your peers. But what if some of the best tips for data center management could actually be found in the biggest football event of the season? Lesson #1: Employ a system to achieve consistency. In your data center, your DCIM software is the system and the cornerstone of your overall data center strategy. Your DCIM software is where all aspects of your data center—from your asset inventory and change management to your power and environmental monitoring—are managed. This structure creates consistency not only across the enterprise but also with any colocation or remote management services. In other words, a comprehensive DCIM solution allows you to manage your data center effectively, even if members of your team change or are offsite. Lesson #2: Adapt your approach to specific objectives. A system provides a football team with an overall strategy and framework for play; in contrast, a game plan is a strategy to win against a specific opponent, so most football teams use multiple game plans over the course of a season. A game plan gives them the flexibility to strategically attack their opponents’ weaknesses while still staying (mostly) true to their own system. When it comes to data center management, DCIM can help you adapt to a variety of conditions that can affect your data center. For example, if you run a capacity report that simulates a failover scenario (without impacting in-use equipment), you may see that some of your PDUs are near or over capacity. To avoid downtime, you can immediately identify at-risk equipment and take load-balancing precautions. To make sure you are sticking to your game plan in the context of your overall data center strategy, you can leverage DCIM dashboards with widgets that display KPIs tailored to each of your objectives. Lesson #3: Use historical data to address weaknesses. While Patriots coach Bill Belichick is especially well known for analyzing footage of previous games to identify his team’s weaknesses and develop a plan to address those areas, it’s a common practice in football for both coaches and players to review video to determine where they need to improve. This is even more important if a particular weakness has become a pattern. In your data center, using historical data can greatly enhance your ability to proactively plan. DCIM software can collect data from the temperature sensors in your data center and display this information in a 3D floor map with a thermal map and time-lapse video, allowing you to easily analyze hotspot formations and take action to address potential problems in your environment. Similarly, a power capacity trend chart allows you to quickly see spikes as well as forecast power capacity needs so you can maximize uptime while minimizing costs. A good DCIM software solution will include robust business intelligence and analytic dashboards to display historical data at a glance. Lesson #4: Have a data center management backup plan to prepare for your worst-case scenario. For most football fans, it was quite a surprise that the Philadelphia Eagles reached the Super Bowl at all after losing their MVP-candidate starting quarterback Carson Wentz. Most teams in the same situation would take a “better luck next year” approach and start thinking about the offseason, rather than believe in their backup quarterback. Fortunately for the Eagles, they were prepared for this situation and had a viable option in backup Nick Foles. For modern data centers, there is no offseason. Today’s data centers – even those located at the edge – are housing mission-critical applications and data. They need to be able to continue to provide critical business services when disaster strikes. To do so, data center managers need to be able to respond quickly to unexpected downtime and outages while also proactively monitoring their facilities and equipment to address issues before they lead to bigger problems. DCIM software is a key enabler for both disaster recovery and ensuring coverage to minimize downtime. A failover report can simulate a failover situation without impacting equipment to make sure that you have adequate coverage. A color-coded data center health map paired with automated, real-time notifications for threshold violations enable you to immediately identify and predict potential trouble areas for issues called by power or environmental conditions. For situations when you can’t physically get to the data center, look for DCIM software that allows you to power cycle your devices with outlet grouping and agentless graceful shutdown to safeguard your equipment. Lesson #5: Coordination = Buy-in + Communication. Your system and game plan won’t work if your players and coaching staff aren’t aligned. At the system level, both players and coaches need to believe in the system and to fulfill the roles or functions assigned to them based on that system. On the field, they need to communicate effectively so everyone understands what is expected of them. The tools used to achieve this level of coordination include not only the headsets that the coaching staff uses to communicate with the quarterback and defensive captain but also the team-specific play-calling codes that uniquely identify each play. The same conditions are true of data center management. For a data center, it’s critical for everyone from upper management to the data center managers to the members of IT and Facilities teams to buy in to using DCIM software. Once implemented, DCIM software can facilitate communication by breaking down silos and providing an enterprise-wide single source of truth. Instead of your IT and Facilities teams using conflicting terminology for the same equipment and making ad-hoc changes in your data center, you’ll have coordinated teams working together in a single system, seeing the same information, following the approved processes, and using a consistent nomenclature for all assets in your inventory. When you’re watching the New England Patriots take on the Atlanta Falcons in this year’s Super Bowl, lessons for managing your data center may be the last thing on your mind. However, just as a tried-and-true system, flexible strategies, data analysis, and effective coordination enable a football organization to consistently field a championship-caliber team, they also are key to effective data center management. A good DCIM software solution can help you obtain all of these elements and more. Wondering if DCIM can really elevate your data center management to greatness? Test drive our award-winning DCIM software now and see for yourself. Published February 3, 2017. Updated January 26, 2017.